philippa roberts is a california jewelry designer who takes her inspiration from the san francisco coastline as well as the architectural elements within the city. 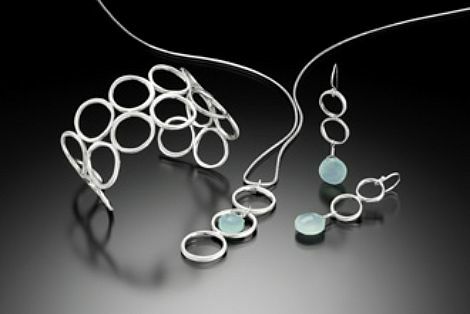 she created a basic line of sterling silver and pearls in 1996. since then, she’s expanded her collection, and has added more texture and dimension to her work by integrating a variety of colorful, semi-precious stones into her gorgeous designs. i love how clean, feminine and organic all the pieces are. find out more about philippa, and purchase her jewelry here.